Nothing should get in the way of a financial services business and its customers – that relationship is the key to success for both parties. Sadly, much of the technology that was meant to bring them together – like email or websites – ends up being just another obstacle to overcome. To call it ‘video calling’ doesn’t come close to its capabilities: dialog is a unique video solution that allows companies and their customers to communicate, collaborate and annotate in real time, face to face, wherever they are in the world. We call this ‘seamless collaboration’. And here’s why it’s going to make communicating with your customers more productive. Previously, mortgage advisors and customers would often have to wait weeks to meet: now with dialog they can talk immediately – and conduct the whole process (whether that’s securing a loan or negotiating a mortgage) remotely. Even if a customer is unable to make it to a branch, dialog allows them to talk to an advisor via laptop, smartphone or tablet. Video-calling isn’t new, but dialog’s unique on-screen annotation makes it truly collaborative. From the customer’s point of view, it means they’re physically involved with the process, while agents will appreciate the ability to examine data on-screen, keeping their client informed at every step. Notes can also be made in real time and important documents can be signed on- screen – a godsend when meeting in real life isn’t possible. 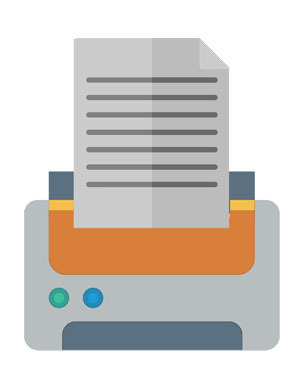 Applying for a loan or mortgage involves the scanning and printing of essential documents. Dialog lets customers scan their passport or driving licence in branch for identification purposes and then upload them. Agents are then able to print these and other documents off directly from the system’s interface. For both customers and businesses, communicating via traditional video software is painstaking: either you connect point to point, or multiple participants all dial in at once. This is off-putting for potential customers, especially if they just want to talk to an advisor without making a commitment. Happily, dialog treats video like audio, so customers can be put in queues, letting companies allocate fewer agents per client. This not only saves the business money, but speeds up availability and lets customers contact you at times convenient to them. There’s nothing more frustrating for a customer than being cut off while talking to an advisor: it’s stressful, and from a business point of view, wasteful. But thanks to dialog’s robust technology, high quality video calls can be sustained with variable bandwidth and up to 20% packet loss. So even if you’re talking to a customer over 4G, dialog will make sure the connection stays stable – letting you concentrate on getting the right deal for your client. Investing in expensive video equipment is the last thing a business needs, especially when most video calling solutions are unreliable and unresponsive. But dialog runs as software on mainstream servers and virtual platforms, and its apps work on any computer and mobile device you already own. This means that Ultra HD video is now available to everyone. If you’re interested in how dialog can bring you and your customers together, why not come and see us? To arrange a demonstration, just click just contact us info@vpodsolutions.com and take your customer service to the next level. Vpod has been a global leader in disruptive communication technology for a decade. Contact us now to see how we can help solve your connection conundrums and start maximising your customer relationships. © Vpod Solutions 2019. All rights reserved.